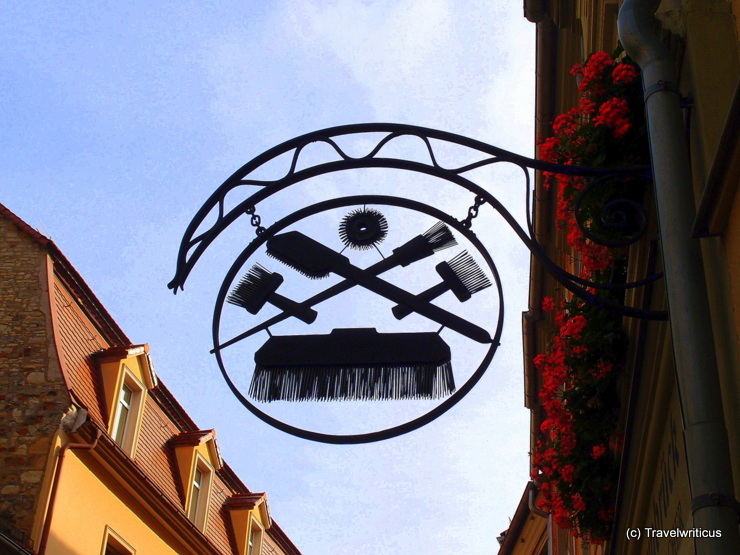 This shop sign at the Bürstenmacherei Steinbrück in Naumburg (Saale) shows in a fine way the main products of a German Bürstenbinder (brush-maker). Inside the shop you can not only buy brushes manufactured in a traditional way but also learn details about this tradition. This entry was posted in Shops, Signs and tagged Germany, Naumburg (Saale), Saxony-Anhalt by Travelwriticus. Bookmark the permalink.